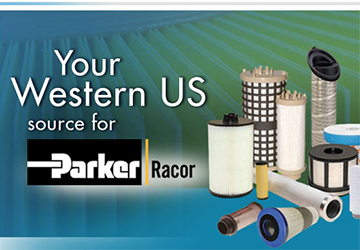 Racor and Perkins Pacific are announcing a new partnership for distribution of Racor’s diesel filtration products throughout the Western U.S., including Alaska, Arizona, California, Hawaii, Idaho, Montana, Nevada, New Mexico, Oklahoma, Oregon, Texas, Washington and Wyoming. Racor is a division of the Parker Hannifan Corporation, a global innovation leader in fuel, air and oil filtration systems for internal combustion engines and fuel delivery systems. Founded in 1969, Racor now has a global presence and the product lines include high flow filter vessels, oil filter systems, automatic transmission filters, engine air filters, crankcase ventilation filter systems, fuel filter water separators and many more customized OEM solutions. Modern fuel systems on today’s diesel engines are more precise than ever and place tough demands on fuel filtration technology to ensure long fuel system life and engine dependability. Racor works closely with engine and equipment manufacturers worldwide to produce cutting edge filtration systems to provide a level of protection unheard of in the past. Racor has products to suit any market or application where you find an engine, such as truck and bus, on-highway, off-highway, marine, agriculture and stationary power markets. Perkins Pacific is a master distributor of Perkins engines with full-service dealers throughout the Western United States. Perkins Pacific provides new and remanufactured engines for more than 160 original equipment manufacturers, offering best-in-class engines for material handling, agriculture, construction, mining and industrial uses. We also offer in-house engineering and design services to achieve comprehensive technical solutions. For quality fuel filtration at any flow rate, Perkins Pacific and Racor are ready to help. Contact us for more information on how we can help with your diesel engine needs today.